At JLG, we have a simple mission to fuel the lifelong love of reading by making it easy for school and public libraries to get the very best books for their young readers. 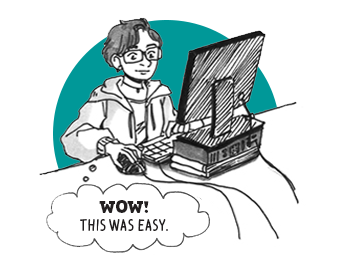 Our time-saving and flexible membership offers a customized, cost-effective collection—delivered monthly, shipped for free, and designed with your students’ needs in mind. You know what circulates in your library, so we make it easy to choose a membership package aligned to your reader’s interests and your library budget. For each category you choose, you’ll get JLG Gold Standard selections, hand-picked by our experts from all children and YA publishers. 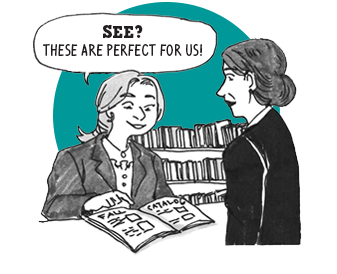 Our editors review and select only exceptional books, prepublication, to curate into our categories and genres. The JLG Gold Standard seal ensures you’ll get only the best books, at special member prices. It’s easy to set up your processing profile and personalize your book box. Get help from a JLG collection expert or use convenient online tools to add titles and categories, swap books, customize your cataloging and processing services, and preview what’s coming in your next subscription box. (Shipping and standard MARC records are always free!) As a JLG member, you’ll get unlimited access to our collection development experts and unbeatable customer support. 3. Open your box every month, all year long, and shipped for FREE! 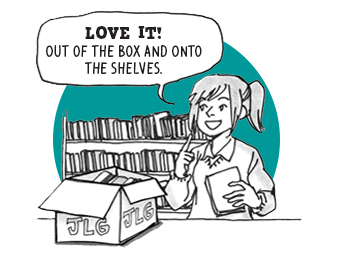 You’ll save more time with JLG’s shelf-ready, out-of-the-box-and onto the shelves books. Billed on a single PO, you’ll receive the season’s newest books at substantial discounts, plus special savings on subscriptions to School Library Journal, Library Journal and The Horn Book Magazine, The Horn Book Guide, and more. Even at the end of the year when your budget is spent, your subscription box will keep on coming. Join more than 23,000 libraries who trust JLG to bring the very best books to their libraries. Create a free account to set up your monthly subscription service, set your preferences and get access to exclusive backlist savings & monthly promotions.